To get a plan customized for your particular property, give us at The Right Move Team a call to schedule a free consultation. We’d be happy to share our insider knowledge of the buyer preferences in your neighborhood … so you’ll know where to focus your time, money and energy to maximize your results. Now that’s a winning combination! 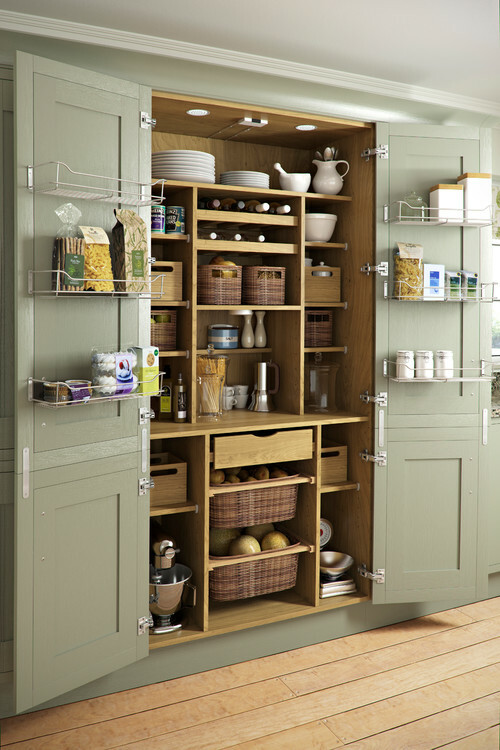 Don’t neglect drawers, cupboards and even your refrigerator in your decluttering efforts. For some unknown reason, buyers always, always, always open the fridge. I guess it’s what we do when we hang out in our kitchens long enough! Serious buyers will check out every nook and cranny of your home, so pack up anything you don’t use on a daily basis and store it off site. The same goes for jewelry, sensitive documents, prescription medication, firearms and other items of value. Store them in a locked safe or storage unit before opening your property to buyers. Make sure any items that remain are clean, tidy and well organized. The good news is, when it comes time to move, a large portion of your packing will be done which means less time swimming in cardboard boxes! If you have a large home, or are short on time, you may want to invest in a professional cleaning service. And if you have carpet, we generally recommend you rent a steam cleaner or hire a company to clean your carpets for you. The downside, you’ll never want to clean your house again after a professional does it for you. The upside, it’s definitely money well spent! In addition to cleaning, it’s equally important to neutralize odors in your home that can be off-putting to buyers, especially pet smells and cigarette smoke. If the weather allows, open your windows and let in fresh air. Empty the trash frequently, and especially before a showing. Avoid cooking any strong-smelling food such as fish or heavy spices. You may need to clean (or remove) drapes and upholstery if odors are particularly strong. Your family photos and personal mementos are often your most treasured possessions. For many of us, they are what make a house a home. However, buyers will have a hard time envisioning themselves living in a place if it feels like YOUR home. The importance of this can’t be emphasized enough. If your sofa is worn, stained or has a bold pattern, consider purchasing a neutral-colored slipcover. Problem solved! Dated or overly busy window coverings should be taken down or replaced. Instead, bring in tasteful pops of color with throw pillows and accessories. You only get one chance to make a first impression. That phrase will live forever because it’s just so true! According to a 2017 report by the National Association of Realtors, 44 percent of home buyers drove by a property after viewing it online but did NOT go inside for a walkthrough.5 That means if your curb appeal is lacking, buyers may never make it through the door. 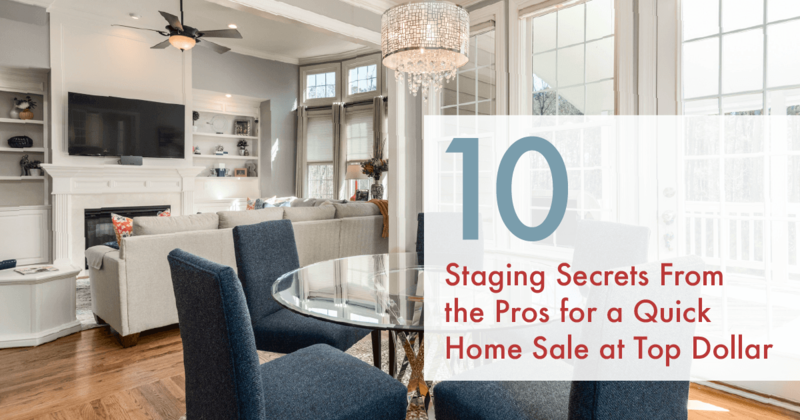 I can’t tell you how many times my buyer tour schedule was quickly whittled down because 3 of the 5 homes we were supposed to preview looked downright unappealing from the curb. The thought process is simple: if a home doesn’t appear to have been shown love on the outside, who knows what lack of TLC is going on inside. Makes sense right? Walk around your home and look for any neglected areas that might seem like “red flags” to buyers, such as missing roof shingles or rotted siding. Trim trees and shrubs if needed, and make sure your lawn and flower beds are well maintained. Add some colorful flowers to your front beds and/or flower boxes to brighten up your landscaping. It’s amazing how much can get accomplished in just an hour on a Saturday morning! Make sure the exterior of your home is as clean as the interior. This can often be accomplished with a simple garden hose. But if your siding, walkway, or driveway are stained or dingy, you may want to rent a pressure washer. Plus, they’re actually fun to use once you get spraying! If your cabinets are dingy or outdated, adding a fresh coat of paint and new hardware is an easy and inexpensive way to make them modern and bright. Consider purchasing new shower curtains, bath mats and towels for the bathrooms and new dish towels for the kitchen. A few bucks goes a long way when replacing these basic items. These small, simple additions can help buyers visualize the possibilities your backyard has to offer. A little ingenuity can go a long way! Please call or email The Right Move Team today with questions or to schedule a free consultation.